Not much for my July update. I mix it all together with a stick blender. 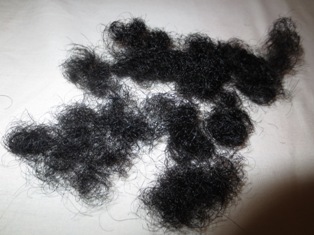 I also try trimmed/dusted my ends, because they are very dry. I took off about 1/4 to 1/2 inch most areas. I am sure I miss some areas, but thats ok. I used flexi rods again too! In August, I purchased quite a few items! First, let me tell you that I am super happy that I finally bought my own camera, since my old one went kaput back in April/May. I received it on August 16th. On August 11th, I did a henna/indigo treatment and used a conditioner mixture again that consisted of honey, 3000 IU of Vitamin E, EVOO, tea tree EO, Mizani Moisterfusion and Olive Oil Hair Mayonaise. 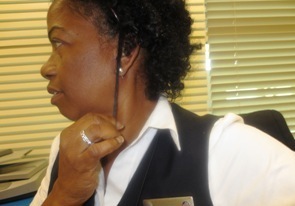 I noticed my edges getting thinner. 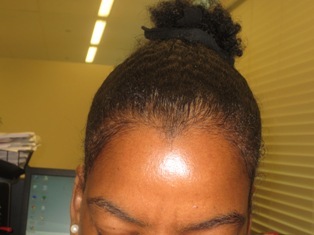 So, I also bought some new products like Jamaican Black Castor Oil (JBCO) and Wild Growth Hair Oil. I started using them about a week ago, however I am using the JBCO at the left side front edges and the Wild Growth Oil at the right side. 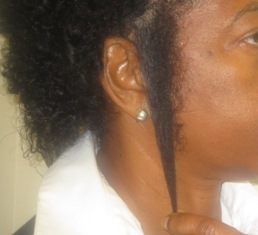 I just want to experiment and see if and which side grow faster, maybe in 3 months. Right side edges; left side edges. I received grapeseed oil I ordered on Amazon and I finally travelled to the States at the end of August and visited the Sally’s store in Miami. I bought 2 Shea Moisture products at Target to start using in September: the Curl Enhancing Smoothie and the Deep Treatment Mask. I will update you on the result when I use any of them. And since I was going to be in the States, I order henna and indigo to last me hopefully a year and it was delivered to the hotel where I was going to stay before I reached it. Took less than a week compared to one month last time. I dusted/trimmed my hair again on August 26th, because I found my ends to be very frizzy. Don’t like the feel of it. 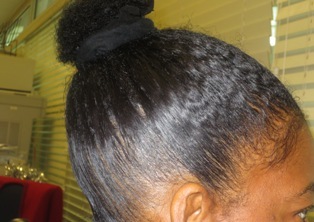 On August 26th, I did a conditioning treatment with Mizani moisturefusion, honey,grapeseed oil, coconut oil and tea tree EO. My God, this is the first time my hair came out super soft and tangle free. For me, this was the best result from a (deep) conditioning. 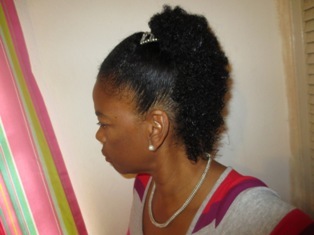 I also tried to get my hair in one finally, with the help of Eco Styler Gel. Lol. Ohhh, how can I forget?! I bought a flat-iron :-)! It’s a Solia. I used it the same day I deep conditioned my hair. 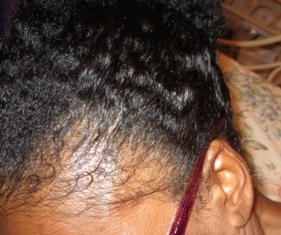 I find it difficult to flat-iron my hair myself, therefore I simply tried to loosen the curls/coils some. Didn’t like the outcome, however my hair was easier to handle. 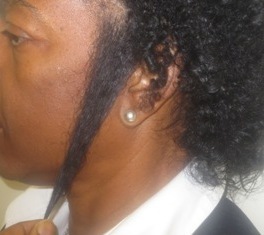 seal your ends and don’t cut off so much. 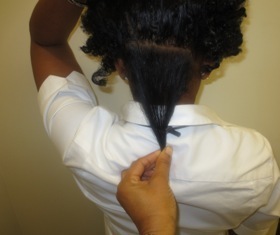 You will never retain length if you keep trimming your ends.Moisturize with coconut oil and be gentle. Sometimes if you put the brush through your hair, it will make it a frizzy mess. Detangle in the shower and add product and leave it alone. @Denise, You right, but I seem to be inconsistent. Sometime I follow those steps other times I dont. I am trying hard not to use comb and brush too often. Thanks for the advice. Never brush or comb after it is dry or even damp….you are asking for trouble. SSK and major frizz are the result. This gives the impression that your ends are not happy. 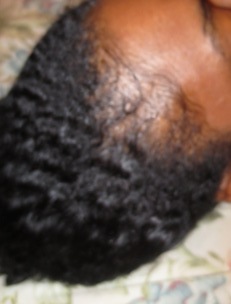 I only comb my hair on wash day…just to detangle under the shower stream. My hair thanks me for it. Good luck. Sorry folks! Am not anonymous after all. Its an error. above response is from TerrificLady herself.